Icon are renowned for their over the top helmets, jackets and bikes. Their latest creation is no different. 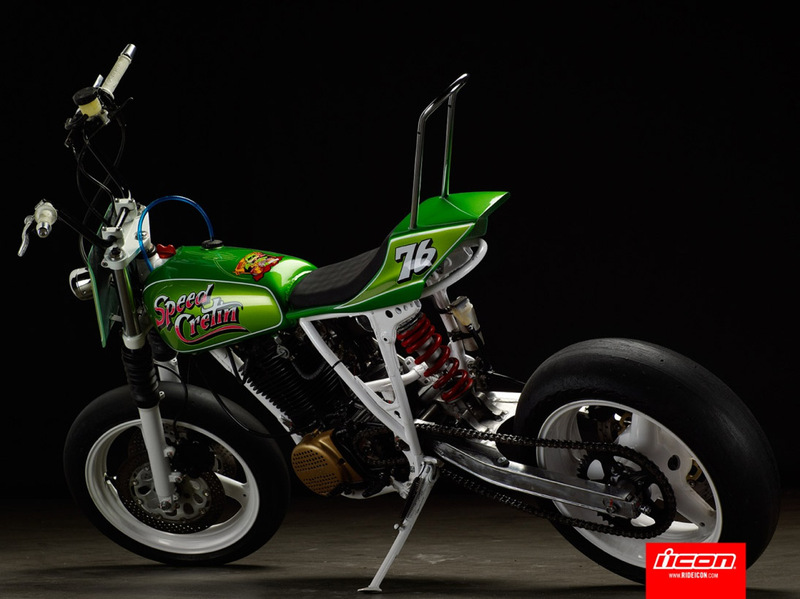 This little green 76′ Yamaha TT500 has been done in true Icon style. Although, unlike the rest of their gear this has a really cool retro look. It makes me feel all prepubescent and stoned just looking at it. The incredible thing about this bike is the diverse range of parts. It has the front end from a 1990 Suzuki Katana 600, Handlebars from a 2002 Honda Reflex (the one thing I would change) and even a rear brake from a Hayabusa. For more pics and the full spec list of this impressive build visit the one and only Hell For Leather Magazine.